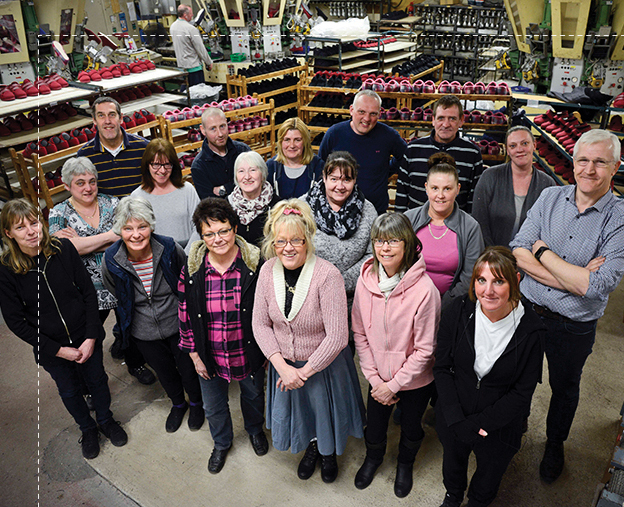 Steven and Diane Heys would like to welcome you to the new website for R&M Heys; a family business of footwear manufacturers, based in the heart of the Rossendale Valley. Established in 1979, our family business took up its present home in Haslingden’s Old Market Hall in 1997, where Steven’s father handed the reins of the business across to him a few years later. 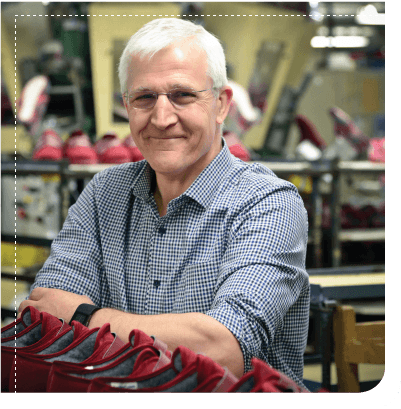 Through the years, the business has grown from a traditional slipper manufacturer, to a lead provider of fabric-constructed and semi-orthopaedic footwear. 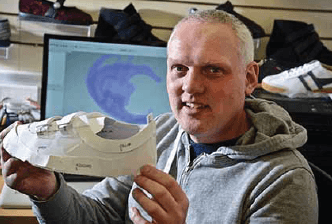 Joining Steven and Diane in flying the R&M Heys flag as established quality manufacturers of footwear in the North West, are Matt and Tracey. Matt joined us from a fellow local footwear manufacturer and took on his leadership role with us as Product Development Manager. He was a natural choice as our business began to grow, based on his solid reputation within the local industry. His counterpart, Tracey, has been with the R&M Heys team for many years, and her hard work has earned her rightful promotion to the position of Production Manager. Though Matt and Tracey aren’t technically members of the family, owing to the values and ways of working we have here, you really wouldn’t know! R&M Heys was born when Steven’s father was made redundant three times in two years as he sought to make a career for himself. He decided that, in an uncertain employment market, he would start his own business. Despite at the time having little experience in the industry, his passion for creating quality products within a region famed for its textile mills, was enough to see him build a team and build a business. Steven joined his father in the business when he was just nineteen, along with his two brothers, who have since moved on. 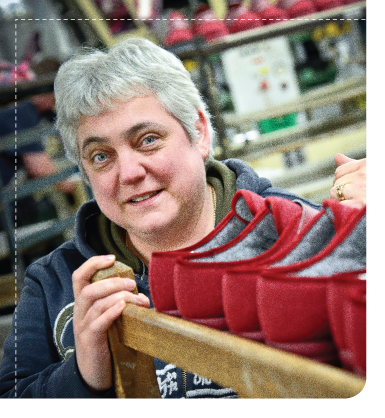 Today, our business retains a white label status of manufacturing footwear products for other companies. Producing our own brand or range isn’t a focus at present, as we are committed to being the go-to source for our contractors’ manufacturing needs. 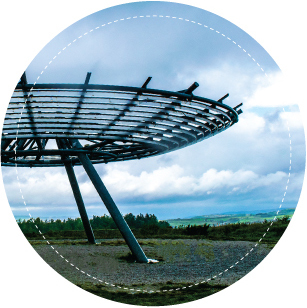 We pride our success on having built a reputation for producing quality products and unrivalled customer service, and that’s why people trust us to do such a good job of enhancing their offer. Recently, we’ve acquired the assets of another business in the locality, which has expanded our capabilities and will enable us to manufacture using a number of construction methods. We have a long history of producing direct injection moulded footwear, however the acquisition will enable us to offer cement lasted, cup sole and stuck on sole manufacturing. We now manufacture shoes, boots and sneakers via a range of stitching methods, including Veldtschoen (stitch down), Cupsole and Strobel. 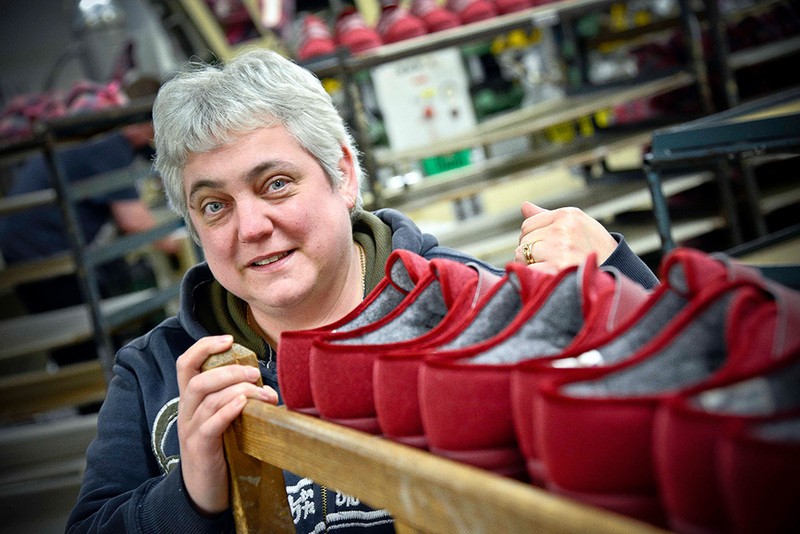 We are proud to do much of our work as manufacturers for Cosyfeet, who are a company that demonstrates commitment to and pride in British manufacturing. 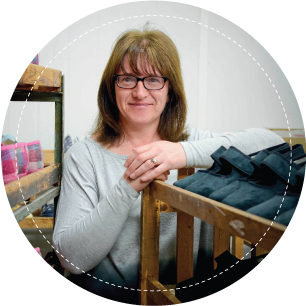 They hold values of loyalty and ethical business that we as a family business at R&M Heys hold dear to our hearts. We are a relatively small set-up with just 24 people working as part of our team at present, but together we combine over 400 years of experience, and benefit from loyalty and great staff retention. We tell people it’s because we look after our team, but in reality, it’s because we don’t let them leave the building!